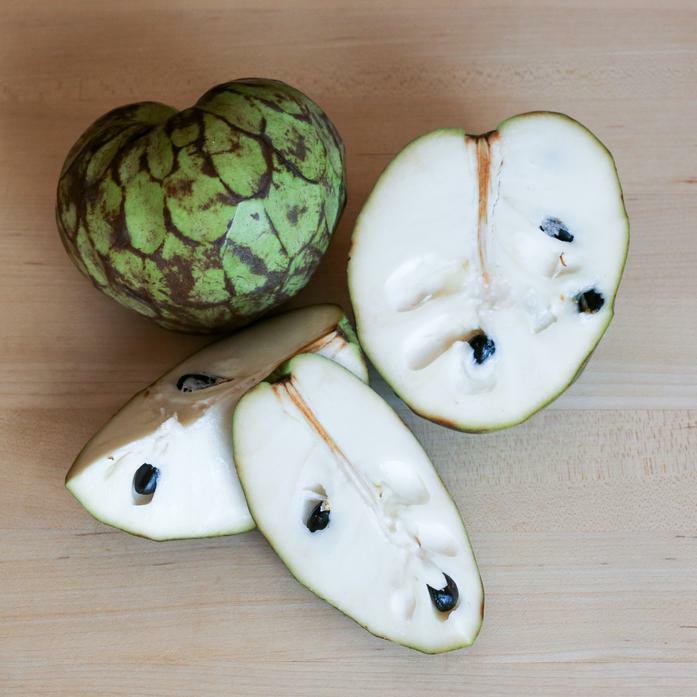 Considered the masterpiece of nature for its amazing flavor and called the custard apple for its creamy texture, It has a bright and sweet tropical flavor that is sure to amaze. To ripen, let sit out on your counter at room temperature until it is soft to the touch like a very ripe peach or avocado. Do not eat the seeds as they are poisonous.